Yesterday, we wrote a post stating that the KickassTorrents (KAT) goes offline as U.S. Government has seized the different domains of KickassTorrents. The federal investigators also arrested Artem Vaulin, the alleged founder of the website. But now, it looks like the KAT is again online with new domain names. The websites feature the same layout and seem like a mirror of KAT. However, the official site is still offline mirrors and copies are being launched by the KAT supporters with new domains and the site looks similar to the original. Recently two mirrors have been found, one from the IsoHunt and another is KAT.am . A statement emailed to The Verge from the creators of KAT.am claims the site is "hosted on multiple cloud servers to prevent blockade, and the hosting information is well hidden behind Cloudflare." 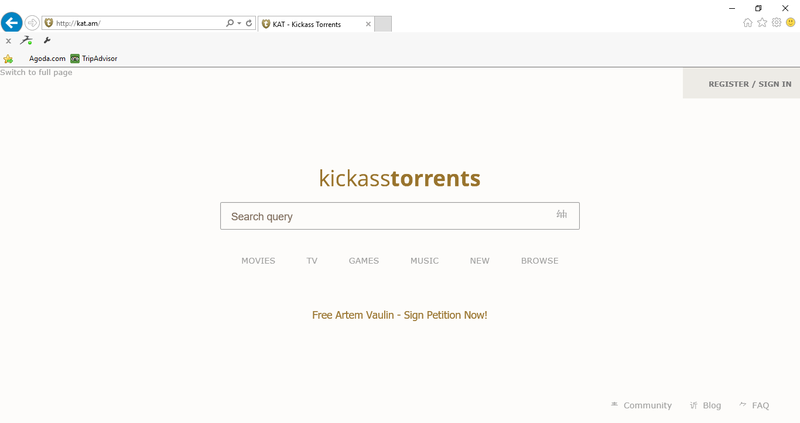 The anonymous contact said they'd improved on the original KickassTorrents site by adding a mobile version and noted that the site "will have the complete torrent database of KAT, including the comments, user information intact." We're not sure whether that means KAT.am has this complete log of comments, etc., or will going to have it. On the mirror site of KAT, we can observe that there was a petition to “Free Vaulin” from what it’s dubbing a violation of human rights. It’s not likely that the petitions will do much good, as the US made the arrest in Poland, which opens up an entire chain of custody and jurisdiction debate, but the sentiment is nice and spreading awareness of the predicament Vaulin finds himself in is never a bad thing. On seeing this, we can tell that, even though the pirates get caught, the ships can still sail on. Kat.am is just a mirror of old KAT. It didn't come online.